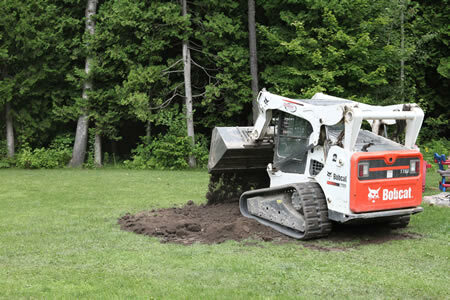 At Cliffshore Excavating & Paving, we offer a wide variety of services. We look at all sorts of jobs, from Excavating and Paving, to site services, water and sewer, trucking, aggregates, topsoil, demolition, septic systems, ponds, mx tracks, line painting and driveway sealing, grass cutting and bush-hogging, snowplowing and the odd motorcycle adventure. Don’t hesitate to contact us with questions about your job. 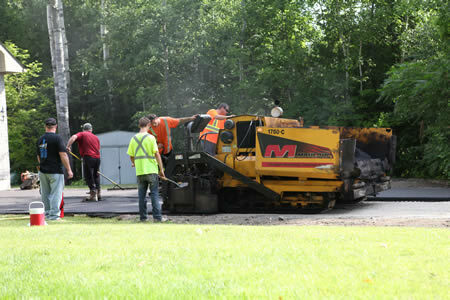 Professional paving company providing Industrial, Commercial, Municipal and Residential paving and line painting services. Offering commercial or residential snowplowing services. Full service demolition contractor equipped and experienced to provide a range of demolition services. Industrial, commercial, residential and municipal sewer maintenance and upgrades. Delivering on all your topsoil and aggregate needs in the Northumberland area. Providing professional Site Services such as driveways, foundations and finish grading. 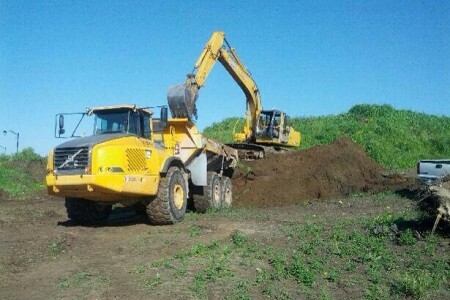 Our land development services focus on quality and cost effective solutions. Offering Roadside and Commercial grass cutting services. Contact us for a quote. Thinking about putting in a pond? Give us a call! Professional operators, and top notch equipment. We transport all different types of construction and road building equipment. If you have any project-specific questions, please don’t hesitate to contact us. We’re happy to provide free paving estimates.